Char Wales is a Lead Information Systems Engineer with The MITRE Corporation and has been active in the computing field for over 25 years. For the past 10 years, she has been focused on the application of database technologies on the enterprise and especially embedded (real-time) systems level, where she believes that object database technology is particularly well suited. She is co-chair of the OMG’s Middleware and Related Services (MARS) Platform Task Force (PTF) and instigated the current effort of the ODBT group in the OMG to develop a “next generation” object database standard, working from the existing ODMG 3.0 specification, as well as, the technologies necessary to support it (i.e., enhancements to existing OMG specifications). 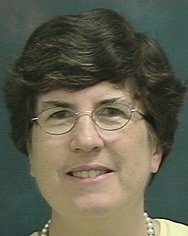 She received a Bachelor’s and Master’s Degree in Physics from the University of Rhode Island (1976) and the Catholic University of America (1983), respectively. She joined MITRE in 1983.